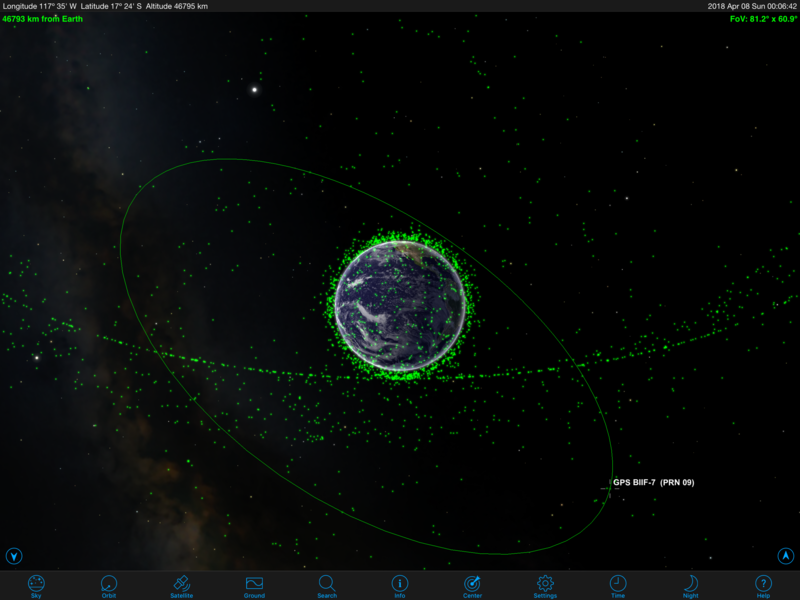 The Orbit view shows where your satellite is orbiting over Earth using a 3D model of the globe. You can swipe the screen to center different parts of the globe. You can pinch the screen to zoom in or out.